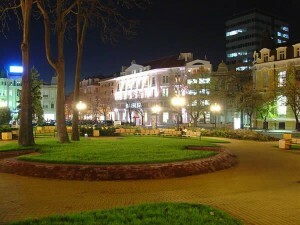 Burgas is the fourth largest city in Bulgaria, but according to an economical attitude it is one of the most developed centers. The city is famous for its overcrowded international airport that connects it to many world destinations and its huge port whose tonnage is the biggest it Bulgaria. Highly industrial and international center Burgas declared itself as a leading destination for the foreign investors. Since very ancient times the area surrounded Burgas has been a valued trade zone, because of its strategic situation. With its lakes and coast the city attracts every year millions of tourists, who would like to learn more about our history, the beauty of the Bulgarian Black Sea coast and the healing qualities of the mineral sources of Burgas. All of these facts cause difficulties in finding a proper transport. You can spend a long time waiting for a bus and it is all but recommended because of the many delays and the lack of warranty you will be on time. Taxi’s services are also unreasonable because you would find yourself not easy in paying all the high bills especially if you have a more active lifestyle. That’s why the smartest choice is to rent a car. The guests of Burgas would put themselves on the right track very hard and choose the right company that offers excellent services on popular prices. The IRent team offers anything you need. The company possesses a large variety of cars as the clients could have an automobile for their personal needs. You could select among several categories such as: economic, compact, large, jeep, luxury and many others. This guarantees you would get exactly what you want. Another advantage of IRent is the online reservation list, which is to facilitate renting a car. Our system will offer you several pick-up points as you can select an exact hour in order to prevent you from unnecessary expenses. The company offers transfers to different points in Bulgaria as for your own safety we will appoint an experienced driver who will take care of your security on the road. IRent offers a possible renting a large number of vehicles for your private visits and receptions and the terms on this and possible discounts will be discussed with the customer himself. The company has parking areas on every airport in Bulgaria in order to make it easy finding a place to park. You can also have our loyal customer service and make use of the many advantages and rebates. The price includes all the insurances against accidents and thefts, road assistance tax, and last but not least – unlimited mileage. - IRent is the choice of every man that takes a sober view of things and values his time and money. - the responsiveness of our team is not to be missed, especially in a crisis.